VERY RARE 4- 3 bedroom units with Good paying Tenants. Private parking in Rear and street parking in front. Brand new roof with warranty. All Utilities are separate with each unit has separate furnace, water heater, gas and electric meters. Building and units have front and back entries that are secured. Basement is partial finished for coin-op laundry and storage for each unit. Electric, Plumbing HVAC all updated. Rents are at lower than market rate with room to increase. Great Investment!! I was searching for a Property and found this listing (MLS #5141130). I would like to schedule a showing for 912 25th Street E Minneapolis, MN 55404. Thank you! I was searching for a Property and found this listing (MLS #5141130). Please send me more information regarding 912 25th Street E Minneapolis, MN 55404. Thank you! Listing provided courtesy of V.I.P. Realty LLC. 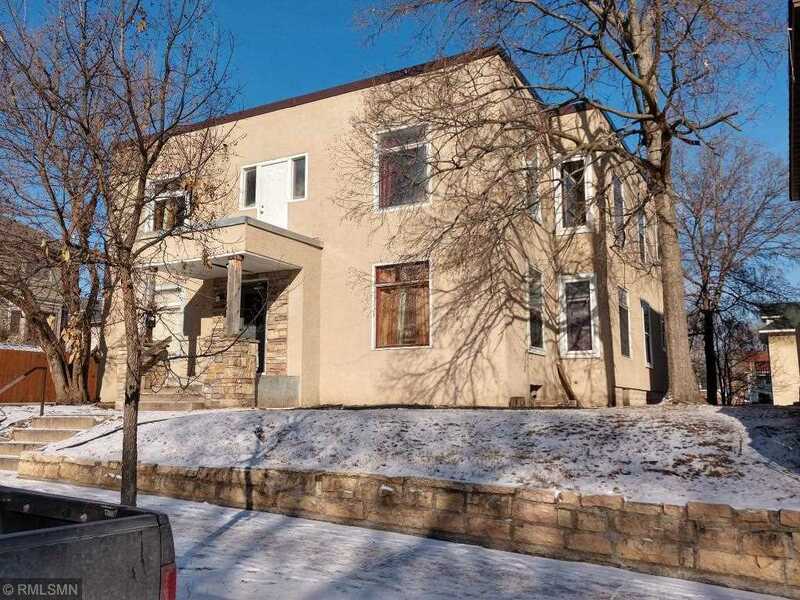 MLS # 5141130: This property at 912 25th Street E, Minneapolis, MN 55404 is located in the Midtown Phillips subdivision and is listed for $440,000. MLS # 5141130 has been on the market for 89 days.